Upon subscribing our Strongbolt Email Hosting, you will receive an activation email with your login details and DNS information. Then you will be redirected to your Webmail interface. 1. IMAP server: mail.strongmailvault.com, Port: 993, SSL enabled. 2. POP3 server: mail.strongmailvault.com, Port: 995, SSL enabled. 3. SMTP server: mail.strongmailvault.com, Port: 465, SSL enabled. 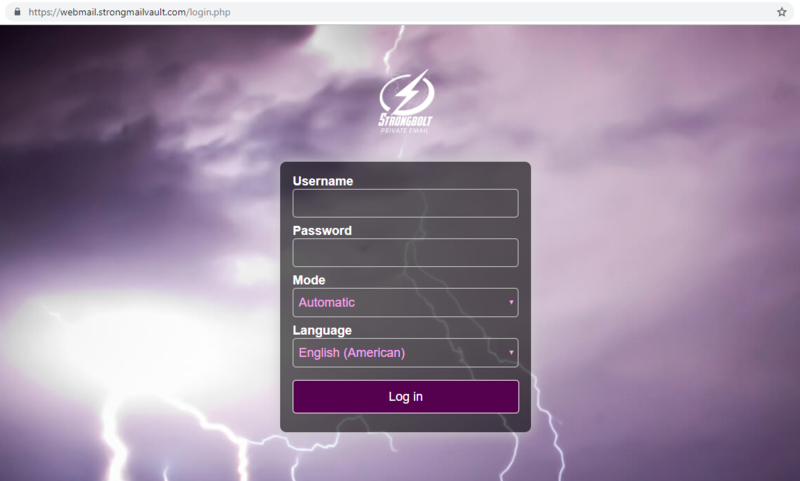 That's it, now you can use your Strongbolt Private Email.